I have a wooden deck patio where the paint is really peeling and lots off it has already came off. How do I get rid of the rest, do I just pressure wash It or is there a solution I need to purchase. Also If i decide to repaint it what sort of paint do I need and do I need special rollers? This is a rental property so I am trying to decide if this is worth it depending on cost. There are several steps to follow. 1. Strip away all loose and pealing paint, use a scraper or garden hose with a high pressure nozzle to remove the old loose paint. 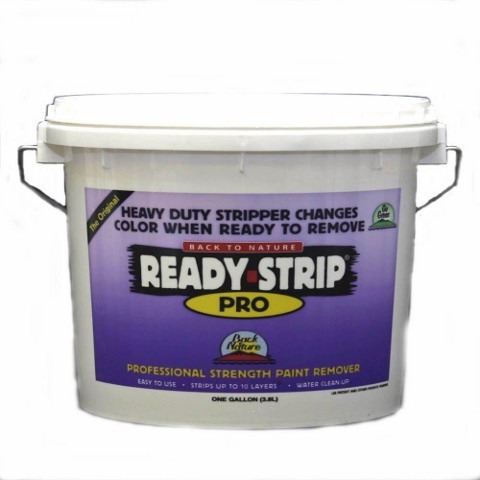 2.Use a good paint stripper such as Ready-Strip to remove the remaining paint, apply the stripper to small areas at a time such as a 2 x 2 section, when the paint starts to bubble up, use a stuff brush or broom to remove it from the surface, a scraper or putty knife may be required for hard to remove areas. 3.Use a garden hose or pressure washer to rinse away the stripper and old paint. 4. Let the surface dry and use a sander to remove any remaining paint and dress up the surface, water will cause the grain in the wood to swell up and create a rough surface. 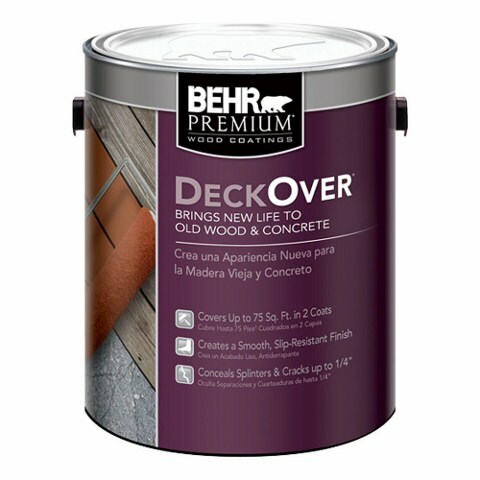 Use a good deck paint such as Rest-Oleum Restore Deck Finish or Behr DeckOver Deck Refinisher to complete the project. Remember both products work best when two coats are applied. A second alternative is to use a belt sander loaded with 36 grit belts. 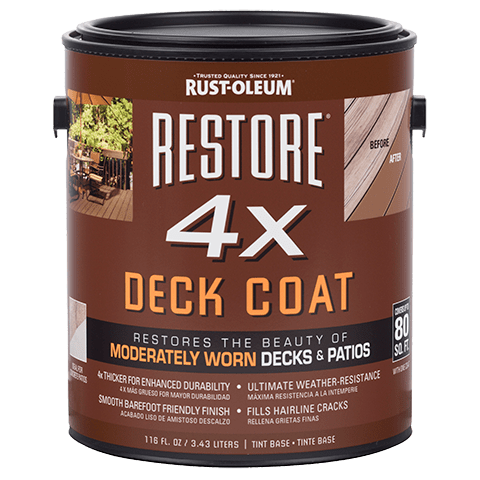 These will rapidly cut through the old paint/stain film without the mess of liquid, caustic strippers and having to flush away the residue, especially if this is an elevated deck. A bonus is that the sanding leaves the wood abraided with the grain able to grab the new stain or paint. If using the deck over product, the 36 grit paper will not leave visible sanding marks after the 2 required coats. If sanding smoother with a smoother grit, do not use finer than 80 grit, as a "mill glaze" can be the result which can prevent proper bonding. The Restore products are no longer carried by most Home Depot stores, although it is still available online. Match colors for the Restore product can also be mixed into the DeckOver product.